Severe lacerations, nerve damage, scars, fear and anxiety - the effects of a dog bite injury are serious and can cause long-term physical and emotional damage. If you or a family member has been injured as a result of a dog bite attack, Florida law gives you the right to seek financial compensation for your suffering. At the law office of Friedman, Rodman & Frank, we offer experienced Miami dog bite injury attorneys who will work diligently to seek maximum compensation for your injuries. Since 1976, our trial lawyers have fought hard on behalf of the injured. 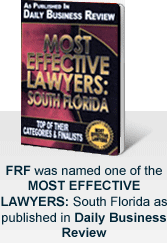 They understand the opportunities afforded to you under Florida dog bite law, and how to overcome any challenges in your case. Contact our personal injury law firm today to put our experience to work for you. 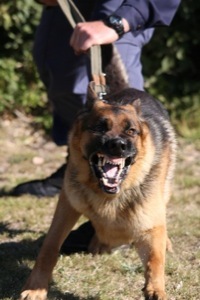 However, any negligence on the part of the person bitten that is a proximate cause of the biting incident reduces the liability of the owner of the dog by the percentage that the bitten person's negligence contributed to the biting incident. The defendant in a dog bite claim may have a homeowners insurance policy that provides coverage to dog attack victims. The insurance policy may provide coverage even if the dog that bit you was not on its owner's property. As a result, the dog owner may be represented by an experienced insurance defense attorney. Our attorneys have collectively handled thousands of personal injury claims. We routinely go up against insurance companies and can put that experience to work for you. We are committed to seeking the full compensation you are entitled to receive. To schedule a free consultation with one of our Miami dog bite injury attorneys, call 305-448-8585 or contact us toll free at 877-448-8585. You may also contact our personal injury law firm online. To best serve clients throughout South Florida, we have office locations in Miami, Homestead and Naples.